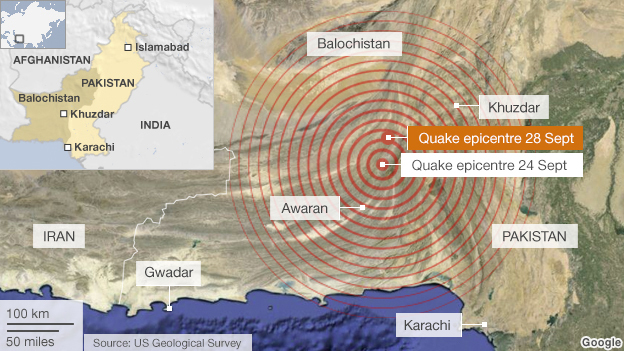 On September 24, 2013 a 7.8-magnitude earthquake devastated the Baluchistan province of Pakistan, causing at least 348 deaths and leaving thousands more homeless and injured. Aid groups and members of the Pakistani military struggled to reach people in some of the most heavily affected areas – including the Awaran and Kech districts – where early reports estimated that at least 21,000 houses had been damaged. Despite dispatching teams with medical aid and necessities such as food and water, officials from the Pakistani military confirmed that the sparsely populated and remote region with an underdeveloped communications and transportation infrastructures made delivering aid in an expeditious fashion a challenge.